What: CD Release Party for Scott Aycock's sophomore release of his CD "Foxhole Radio". Where: Blue Dome Diner- 313 E. 2nd St. Tulsa When: Thursday, May 20th Time: Doors open 7pm. show starts 8pm. Cost: $10.00 (students $5.00) (children under 12 free) Possible Musicians appearing: Rocky Frisco, Three Penny Upright, Steve Pryor, Jared Tyler, Jesse Aycock, Travis Fite, David Bernson, Dianna Burrup, Randy Crouch, Rich Fisher, Don Geesling, Jeff Graham, Brad James, Steven Lee, Josh Massad, Ron McRorey, J. Pat Murphy, Dustin Pittsley, Sharla Pember, Carolyn Schad, Tom Skinner, Monica Taylor, Don Morris and Dylan Layton. 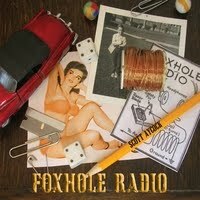 Scott Aycock, Tulsa, singer/songwriter and local radio host and producer of the popular Folk Salad radio program, which airs weekly on KWGS and KOSU, is releasing his second CD, "Foxhole Radio". 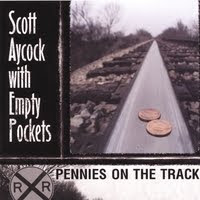 Scott has been writing, singing and performing songs for 25 years. He won first place in the 2005 Ozark Mt. Folk Festival songwriting contest, and 3rd place in the 2006 International Billboard Songwriting Contest. The 1st place win was for the song "Ballad Of Frank Dean" off his 2000 debut CD release, "Pennies On The Track" and the 3rd place win in the "rock" category was for "Thousand Headlights", a song that is just now being released on his 2010 CD release, "Foxhole Radio". The new CD features 12 original songs written and sung by Scott, who plays acoustic guitar throughout. When asked about the band, Scott smiles and says, "well for this project I didn't have a band of my own, so I did something I had been wanting to do for awhile and brought in some of my favorite Oklahoma musicians, spanning generations and musical genres to help me flesh out these songs." Scott added, "the making of this CD is in line with our mission on "Folk Salad- Certified Organic Music", in that we are trying to make folks aware of the rich diversity of great musical talent we have right here in our own state. This CD "Foxhole Radio" is just another way to spread that message. Counting myself, there are 25 Oklahoma musicians that lent their talent to this project." This project included Scott's well know singer/songwriter son Jesse Aycock, who played electric guitar and sang back-up vocals on several tracks, as well as gave valuable feedback into the post-production work of the CD. Other local musicians involved were Don Geesling who did the sound engineering and basic production for the project as well as played most of the keyboards and all of the bass on the project. Travis Fite of Soul Tree Studio, co-produced the CD with Scott and did all of the mixing, with some additional mixing from multi-talented singer/songwriter, Jared Tyler. Jared also played Dobro and sang harmony on the CD and Travis contributed vocal harmonies, mandolin, and acoustic guitar to the project. Other Oklahoma musicians contributing their gifts to this CD are Steve Pryor, Randy Crouch, David Bernson, Ron McRorey, Jeff Graham, Sharla Pember, Rocky Frisco, Dustin Pittsley, Monica Taylor, Tom Skinner, Rich Fisher, and many more. 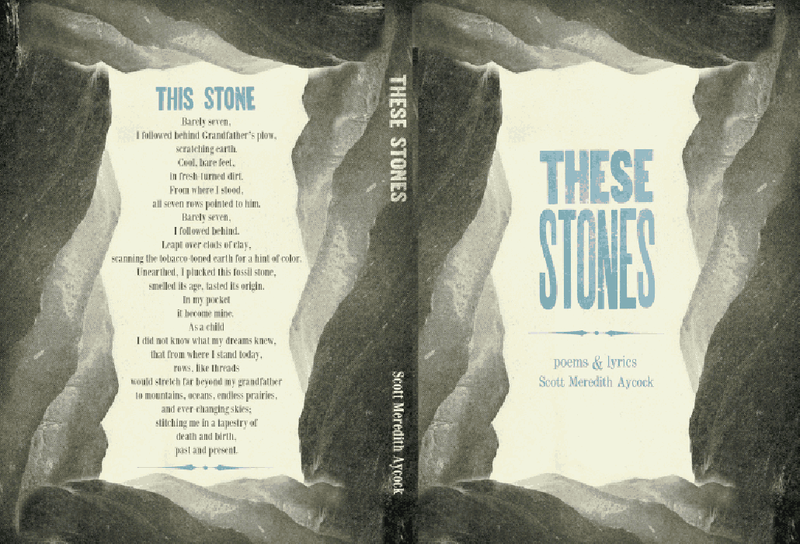 "So you can see," says Scott, "this CD is as much a celebration of the rich heritage of Oklahoma Musicians, as it is my songs." 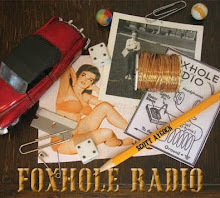 Scott is celebrating his sophomore release, "Foxhole Radio", by having a CD Release Party at The Blue Dome Diner, 313 E. 2nd Street, on May 20th, at 8pm. The doors will open at 7pm, and dinner will be served throughout the evening. Scott's core band for this gig will consist of Ron McRorey- drums, Dylan Layton-guitar, and Don Morris- bass. Many more of the guest musicians from the CD, will be there to perform as well. The cost for this event is $10.00. Cost for students is $5.00 and children under 12 get in free. "We will kick off the night performing songs off the new CD, and after that it will just be a night of all-star performances by the various musicians that show up for the event," says Scott. Scott, also, is planning to have a table set up with stickers, buttons, and placards supporting "Musicians for Smoke Free Oklahoma" a grass roots organization his wife Margee Aycock began a few years back, to try to garner support for removing all smoking from bars. This is to promote the health of the workers and the musicians who work in those establishments, and to promote an environment where non-smokers and smokers alike can come out an enjoy great music. Folks can sign-up to pledge support for this important cause and can even donate money to the American Cancer Society.